Agricultural policies, for example—historically a domestic issue—have been thrust into the international realm. Any time a country or a group of nations such as the European Union contemplates changes in agricultural subsidies, quantity restrictions, or even quality regulations, international trade partners are quick to speak up against the resulting global effects of such changes. The following section, which is selected from Fundamentals of International Business, demonstrates how product safety and quality measures are influenced by global concerns. Though native to South and Central America, pineapples sold in the United States have primarily been grown in Hawaii. 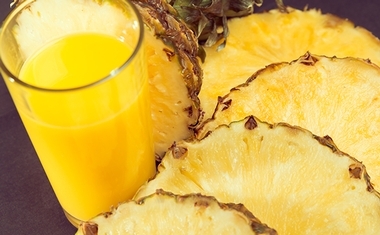 For many Americans, Hawaii has been equated with pineapple exports. A new variety of pineapple, however, has changed all that. In 1996, the first “Gold” or MD2 strain of pineapple hit the retail market. Since then, Del Monte, one of the world’s leading pineapple producers, has seen a 174 percent gain in pineapple sales. The success of this new variety of pineapple is attributed to its sweetness, lower level of acidity, and uniformity. The Hawaiian Champaka, previously the primary pineapple sold in the U.S., was sometimes sour or hard; customers never knew what they were getting. With the development of this new product, the pineapple industry has changed. Almost all the major producers now grow a version of MD2 and are tailoring their production to fit the needs of this new strain. Since Hawaii’s climate and soil are not very conducive to growing this new, sweeter variety, many producers are moving to plantations in South and Central America. Del Monte, for example, will plant its last commercial crop in Hawaii in 2008. This change provides an example of how environmental changes can alter the competitive picture around the world, with no fault by workers, producers, or consumers. Change is what often promotes progress. The shift in consumer preferences from tuna fish packaged in oil to tuna packaged in water led to a weeding out of competitors some decades ago. 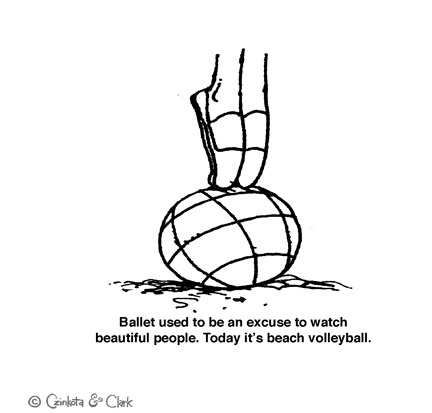 Those affected, however, do not need to stand still. Hawaiian farmers now grow specialized crops such as noni, papaya, and macadamia nuts to fill the void. The revenue drop from pineapple from 1984 to 2004 has been restored by revenue from products such as coffee, flowers, mangoes, and other tropical fruits. Product decisions by companies like Del Monte free large numbers of workers and vast expanses of land and have accelerated growth in the specialized crop industry. Former pineapple plantations and those working on them have been quickly absorbed in Hawaii’s ever-growing specialty foods market. 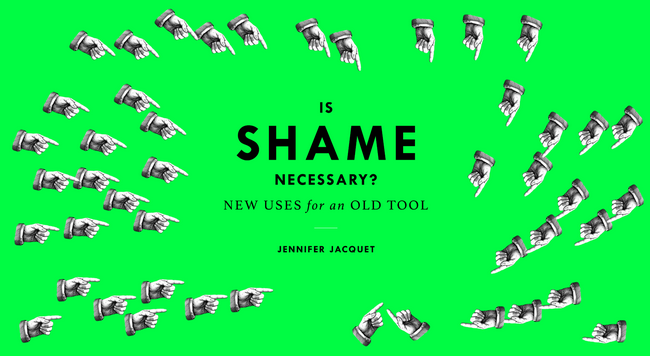 Can Shame become the next major Tool to change public behavior? Beijing, the Chinese capital, has, for decades, been infamous for its heavy smog. Since 2014, the government has focused on improving the air quality. Smog related investments amount to $130 billion in support of policies designed to move away in power development from coal to cleaner energy sources. Outdoor smog has been linked to 1.2 million premature deaths a year in China. An outdoor concentration of pollutants of 300 units is considered detrimental to personal health. Often, however, in Beijing concentration levels exceed 500 units. Yet, outdoor air quality is not the only worry. Also of concern, but relatively more difficult for the government to monitor and control, is indoor air pollution, which is mainly caused by human smoking. However, only three cigarettes burning in a restaurant can result in a pollution level of 600 units, which is much higher than the typical outdoor air pollution. To reduce such second hand smoking risk, a new law came into effect on June 1st, 2015. Violators of smoking restrictions are not only hit with fines. Repeat offenders will be named and shamed on a public government website. Anyone breaking these new regulations and policies will now face a fine ranging from $30 for individuals to $1,600 for businesses. Repeat offenders will see their names posted on a government website for one month, alongside a list of their offences. 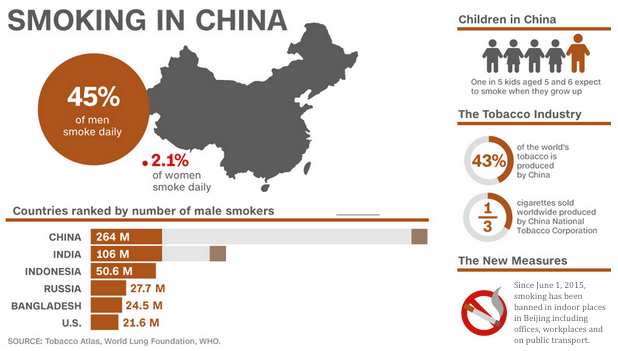 There are more than 300 million smokers in China. They account for nearly a third of all the smokers in the world. The Chinese government has also restricted tobacco commercials and raised the tobacco tax by 120%. The new rules are widely cast, covering economic as well as public perspectives. A core dimension of the new law is Public shaming. Witnesses to infractions are urged to notify the government. However, most people claim they would not want to be involved and would not report violators to officials to avoid trouble. Social pressure can be exercised through shaming and is expected to make the new law more effective. One must ponder the question: Can “shame” really work in implementing government policy? 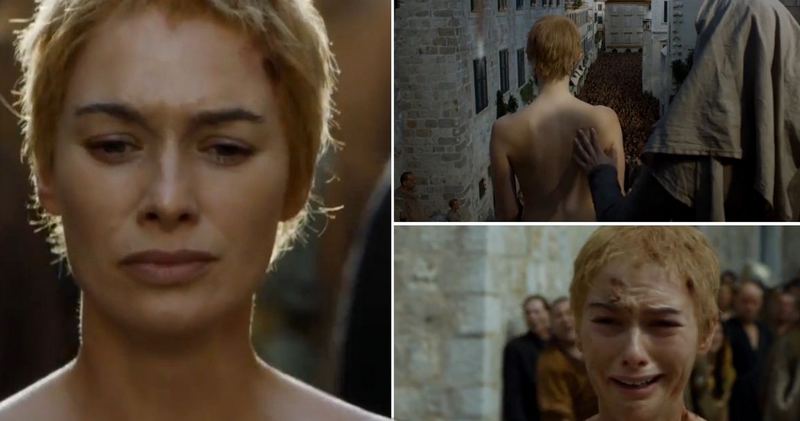 There is the walk of shame scene in TV’s“Game of Thrones”. Also, shame is not just an Asian tool. Lately, republican presidential candidate Jeb Bush advocates the use of shame as a tool, and states that it should be used to reduce out-of-wedlock pregnancies. He believes that since people don’t feel ashamed of single parenting, it has become ok for young women to give birth out of wedlock and young fathers to walk away from their paternal obligations. These examples show how shame can be used to prevent certain behavior in business and society. Shame can take on a reduction against corruption and business fraud. It can raise the attractiveness of honesty in competition. Working to avoid shame, can lead to better weights and measurements, a concern to avoid being ridiculed by competitors and losing one’s long developed reputation. Avoiding shame by reducing, eliminating, and making up for past mistakes, can strengthen a company’s unique selling proposition and let it emerge as a seasoned competitor. Particularly in fields such as marketing, where the ‘brand’ and personal perceptions are paramount, shaming can become a major influence if not the rationale for the curative approach leading to a healing of relationships between business, government and consumers. In the 20th century the planet’s population doubled twice. It will not double even once in the current century, because birth rates in much of the world have declined steeply. But the number of people over 65 is set to double within just 25 years. 1. Larger number of older people will slow the growth and less savings. That will increase interest rates and the asset prices will fall. Some other specialists say that older people will work longer in future, which will change the demography of workforce. 2. But an even more important factor is education. Better-educated older people are far more likely to work for longer. Gary Burtless of the Brookings Institution has calculated that, in America, only 32% of male high-school graduates with no further formal education are in the workforce between the ages of 62 and 74. 3. A smaller workforce need not dampen growth, though, if productivity surges. This is not something most would expect to come about as a result of an ageing population. Plenty of studies and bitter experience show that most physical and many cognitive capacities decline with age.